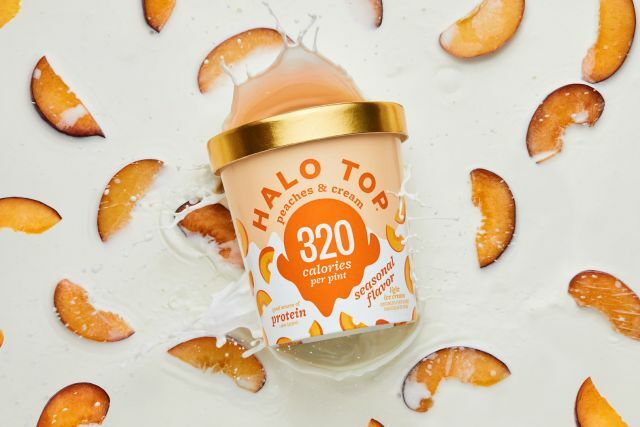 Halo Top launches new Peaches & Cream as a seasonal summer flavor of protein-fortified, low-calorie ice cream. The flavor features a swirl of peaches in a vanilla and cream base. It arrives in early June and will be available through the end of August. A pint of Halo Top Peaches & Cream is good for 320 calories and 20 grams of protein. If you happen to be in the Los Angeles area, you can also find the new flavor in soft-serve form at the brand's two scoop shops located at the Westfield Century City and Westfield Topanga shopping centers.